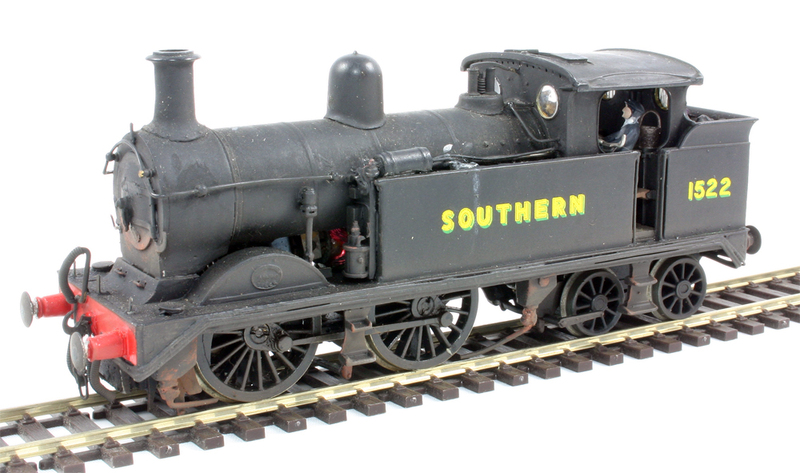 Hornby announce the ex SECR / SR / BR(s) Wainwright H Class 0-4-4 tank as part of their 2017 range. Today, via their Engine Shed blog, Hornby have announced that they are to produce the ex SECR / SR Wainwright H class 0-4-4 tank as part of their 2017 range. The blog post also includes images of the first 3D Stereolithography printed samples showing the excellent progress that they have made so far. Ever since they posted a teaser picture some time ago on their Engine Shed blog and social media, taken on the roof whilst photographing and measuring the only surviving member of the class, number 1263, on the Bluebell Railway the rumours have been circulating; although I have been fortunate to know it was being worked on for some time now. The first 64 of the eventual 66 members of the class were first introduced by Wainwright of the South Eastern and Chatham Railway between November 1904 and 1909. The final two members of the class were eventually built under the auspices of Maunsell in 1915! They first appeared in Wainwright’s fully lined dark green livery followed by by Maunsell’s plain dark green livery, then the wartime dull grey livery up until 1923. In Southern Railway days they were in lined olive green which gave way to Bulleid black under wartime conditions and eventually British Railways lined black. All but two members of the class (numbers 1264 & 1312 due to cracked frames) entered British Railways service with withdrawals taking place initially between 1951 and 1953 as a result of the spread of electrification and the remainder between 1959 and 1964. A large number of the class were fitted with standard SR air control Pull Push gear from 1949 onwards to replace some of the aging D3, R & R1 0-4-4 tanks. There were a number of slight differences within the class such as steam and Westinghouse braked versions, slight variations in coal and water capacities, while fifteen of the class had straight sided rather than flare topped coal bunkers. 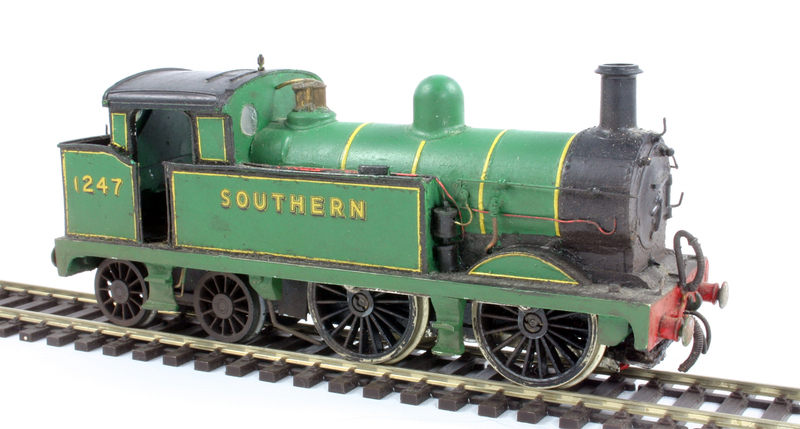 Hornby have announced their intention to initially in 2017 to produce three versions: SECR full lined green, Southern olive green (subject to confirmation) and early emblem BR liveries; along with a fourth BR late crest variant in a train pack with two Maunsell 6xx series Pull Push coaches. Final details and actual locomotive numbers etc will be further revealed in due course, and posted on this blog when available, however the Hornby design team have advised me that they are tooling to accommodate steam and Westinghouse braked versions, flat and flared bunker sides along with those fitted with air control pull push gear. This will no doubt be a popular release and very useful for modellers of the Eastern and Central sections of the Southern Railway rather then the Western Section which has already recently been well catered for by Hornby with their M7, N15, S15, T9 and 700 class releases. 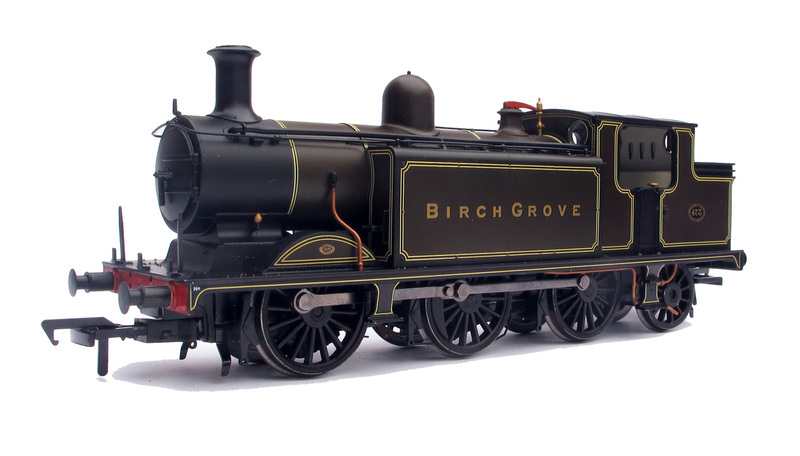 At their annual Collectors Club event, this year held at the Gloucestershire Warwickshire Railway, last Saturday, Bachmann announced their intention to produce Class 117 and 121 Suburban DMUs, along with a Limited Edition E4 for the Collectors Club members. 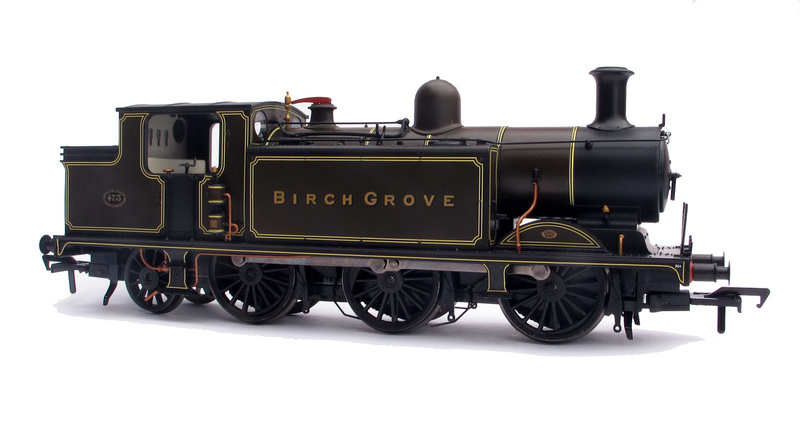 More information about this release can be read on the Bachmann website here. 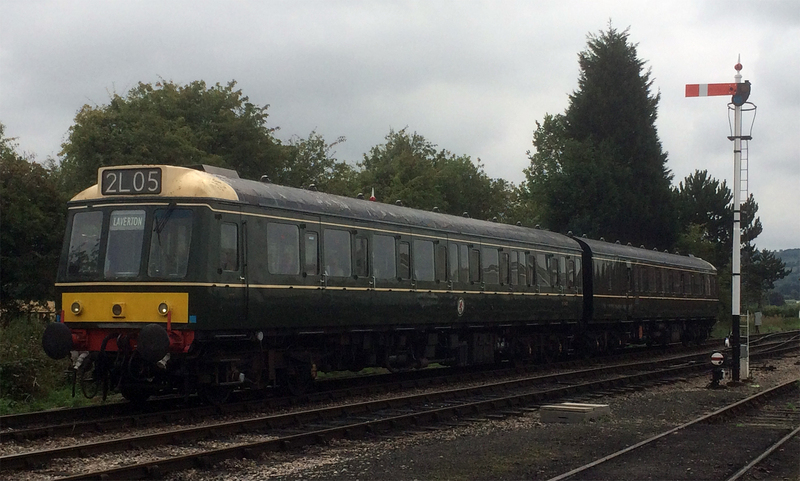 Some of you will remember that The Kernow Model Centre announced their intention to produce this family of Western Region suburban DMUs at Warley last year. In fact they had already laser scanned a Class 117 and had completed their initial research. Following meetings with Bachmann after the Warley show at Warley it became clear Bachmann were also working on this model. The Kernow Model Centre had previously said that they have no interest in “taking on” a major manufacturer and so immediately offered their research and laser scan data to Bachmann and they have been working with them on this project ever since. Although primarily based on the Western Region the Class 117 units could be seen on Southern Region metals on Reading – Guildford services. In addition to the main Bachmann releases there will also be a version of both classes exclusive to the Kernow Model Centre in the GW150 celebration Chocolate and Cream livery. The Kernow model Centre have also advised that they have not forgotten about the Class 116 and Class 118 and further news about these will be announced in due course (but with no current timescale for such an announcement). Grove a livery she was also regularly seen carrying in preservation on the Bluebell Railway. This will prove to be a popular model amongst club members I am sure. I was fortunate to attend this event as a guest of Bachmann whom I thank for their hospitality provided to myself and my other media friends. Hornby have today announced via their Engine Shed blog that they are to release, in 2016, Southern Railway 58ft non corridor brake coaches, to diagrams 99 and 418, that formed two-coach 2-Lav Sets Nos. 42-46, converted in 1936. Also to be released are the diagram 98 six compartment Brake Third Lavatory (physically the same as the Diagram 418 but without first class branding and all third style seating) and the diagram 31 Third Lavatory, converted in 1935, that were used as loose coaches for strengthening trains, one example of the diagram 31 No 320 is preserved on the Bluebell Railway, having been one of the first two coaches operated by the fledgling line. These coaches totally compliment the ex LSWR Adams class 0415 radial tank being released later this year as the 2-Lav sets regularly operated on the Lyme Regis and other Devon / Dorset branches between 1935 and 1958. The potential release of such coaches was hinted at last Friday via their video released here of the Adams radial running sample that purposely and cheekily showed the engineering samples being hauled by the radial tank, prior to today’s announcement. These coaches were made up from ex London and South Western Railway (LSWR) 48ft bodies, originally built between 1894 and 1902, mounted on completely new 58ft underframes. Each of sets 42 to 46 comprised of one eight-compartment Brake Third (Dia 99) and one six-compartment Brake Composite Lavatory (Dia 418). The bodies being extended in length accordingly. 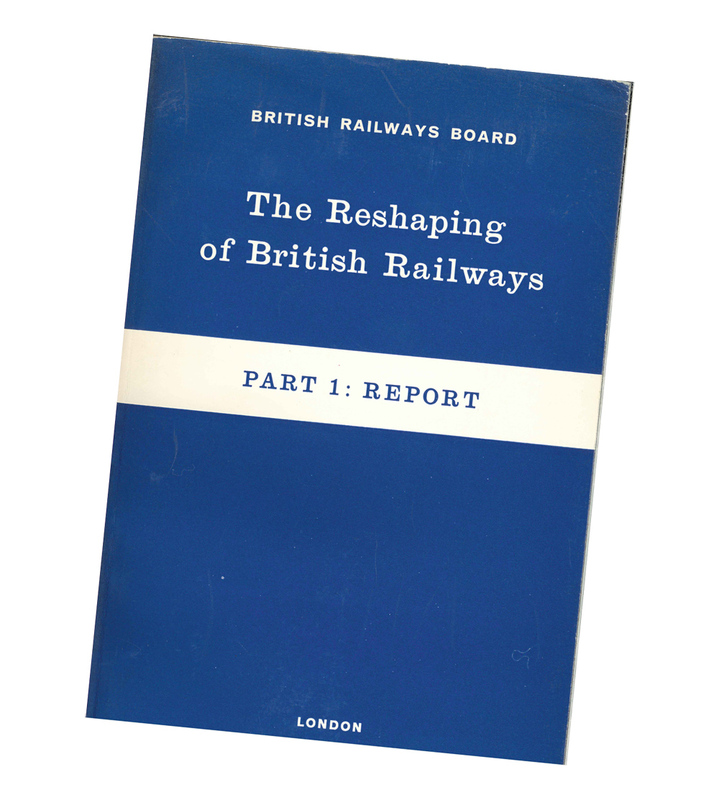 The new underframes were to newer standard dimensions, intended for a coach body 6″ wider than the ex LSWR coaches, the bodies were slightly widened and these rebuilds can be easily identified by the weatherboard strip along the bottom edge to keep rain out of the gap between the body and underframe. The new underframes had the SR standard 8’0″ steam bogie, therefore the bodies resembled traditional LSWR practice whilst the underframes resembled the SR’s Maunsell Restriction 4 stock (as already produced by Hornby). Hornby should be congratulated on the joined up thinking of producing suitable coaching stock for use with the previously announced ex LSWR Adams Class 0415 radial tank. This change in announcement policy follows on from unexpected announcements such as the original style Merchant Navy made earlier this year. It further demonstrates the positive progress being made by the Hornby development team, as I can personally vouch that they have been working on these coaches since last year, and some yet to be announced future products. As I hinted in my summer comes soonest post on Saturday, this post was prepared prior to my vacation and was correct at the time of writing and I will amend and or provide additional information in due course.